Hong Kong is a wonderfully diverse and vibrant place. A buzzing and pumping metropolis that never once stops, not even for a moment! As such, Hong Kong is truly a twenty-four-hour city and in order to function at maximum capacity there must be food! Good food at that! This is where the Hong Kong Buffet comes into play. Hong Kong has a great influx of international workers and as such there is a thriving expat community in Hong Kong. Far from home there is a desire to have a social life that compensates for a busy and hectic life in the business hub of Hong Kong. A Hong Kong Buffet is the perfect occasion to gather friends and family a like to share good food and good company any day of the week! With so many cultural influences over the decades of its existence Hong Kong has to offer a great variety of dishes and is held in high regard for its fusion food and innovative flavour combinations! Whether you are looking for some classic Cantonese or traditional British pub grub, exquisite Italian cuisines or a hearty Indian masala there is a buffet in Hong Kong to suit every taste preference and occasion. 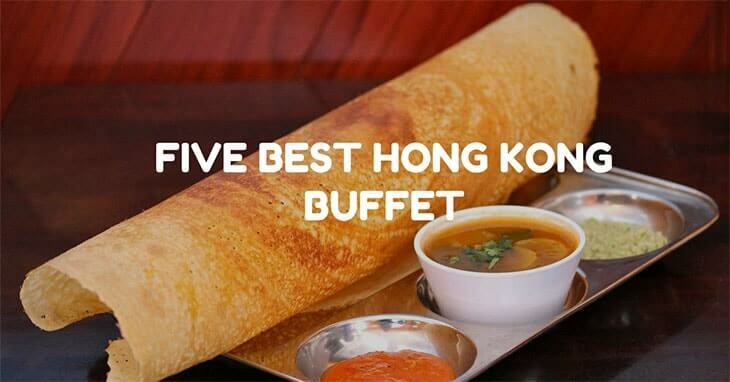 We have found the five best Hong Kong buffets so you can tuck straight in! The Verandah Restaurant (Tsim Sha Tsui) receives top ratings on TripAdvisor and food blogs time after time! The Verandah Restaurant can be found on 1/F, The Peninsula Hong Kong, 19-21 Nathan Road, Tsim Sha Tsui, easy to find and easy to access via Hong Kong’s expansive public transport network. The Verandah Restaurant boasting majestic views over the harbour and the interior design is simply perfect, making the atmosphere match the impressive food that they serve. The Verandah Restaurant opens for brunch, lunch and a dinner service too! They serve beautifully presented and consciously sourced continental dishes on their buffet. Head Chef Lo Wing Keung prides himself on his innovative dishes that never fall short on flavor. The dress code for The Verandah Restaurant is smart casual and they have family dining options too. For those looking for a light lunch or some perfectly constructed cakes and pastries head to the The Verandah Cafe for an afternoon tea or casual coffee with friends. Cafe Too @Island Shangri La is popular with locals and travellers a like! Found at Supreme Court Road, Level 7, Pacific Place, Central, 88 Queensway Cafe Too @Island Shangri La is in a great central location, perfect for meeting with friends and family at the heart of Hong Kong. The live cooking stations at Cafe Too @Island Shangri La provide wonderful entertainment for diners as well as the assurance that their food is as fresh as it can possibly be! When we think of a buffet in Asia we often worry that the food will have been left out too long and could cause stomach upset, certainly not that case at Cafe Too @Island Shangri La! Cafe Too @Island Shangri La is so incredibly popular that you should book at least a week in advance to guarantee yourself a seat at what is regarded as the best buffet in the city! The restaurant is light, bright and spacious making is a great destination for young families with children. To book your table head to. Jumbo in Aberdeen is not only a culinary experience but a full packing dining experience too! This restaurant can be found floating in the harbour! Jumbo offers unprecedented views of Hong Kong’s spectacular and memorable city panoramic. The views are especially impressive at night time when the city appears to glisten and gleam through the window of the high rises and skyscrapers! Jumbo is a classic Hong Kong buffet at its finest serving a Asian food of all varieties; classic Chinese and Indian food too! If you head to Jumbo of a lunch time we recommend that you endeavour to get a seat on the top deck for some superior al fresco dining! Make sure the sun is shining though, nothing worse than a soggy buffet meal! If you haven't tried before, make sure you try some of Jumbo’s Dim Sum! Although not Hong Kong's most amazing it is certainly well worth sampling! Although you’ve found yourself in Hong Kong you may feel like you should commit to traditional Cantonese food; don't limit yourself! Head to Jashan Indian Restaurant and try out their wonderful Indian buffet as recommended by Hong Kong’s Michelin guide! The Jashan Indian Restaurant is Hong Kong’s finest Indian restaurant and serves some ingenious takes on classic Indian dishes. Their most popular dish is the Butter Chicken which really does melt in the mouth! Clearly the chef’s pride and joy! The Jashan Indian Restaurant buffet offers diners four, sometimes five different curry option as a main dish; this will always include a vegetarian option. Indian food is mostly vegetarian so even the most avid of meat-eaters should try Jashan Indian Restaurant's meat-free options! The buffet also includes a wide range of side dishes and as well as much loved naan breads and of course, plenty of rice too! The Jashan Indian Restaurant can be found at 1st Floor, Amber Lodge, 23 Hollywood Road, Central and is easy to access via the Metro. The Harbourside @ The Intercontinental is the most elaborate and luxurious buffet that you could possibly find in Hong Kong! The Harbourside @ The Intercontinental welcomes the great and the good into the restaurant on a daily basis, including celebrities and dignitaries alike. Without any shadow of a doubt the Harbourside @ The Intercontinental’s most redeeming feature is the free-flowing alcohol served during their Sunday buffets! What starts as a classing and formal Sunday morning brunch can easily, and quickly, become a boozy liquid-lunch! The Sunday buffet price includes champagne, beer and their impressive wine selection too! As we’re sure you have guessed the Harbourside @ The Intercontinental is crazy popular! As such you have to book at least a month in advance in order to secure yourself a table at the grandest Hong Kong buffet there is!